Roger Federer is now the second highest-paid athlete in all of sports and the first in tennis. According to Forbes newest list of the top 100 highest-paid athletes, Federer earn $71.5 million in 2012, including prize money and appearance fees. Tiger Woods is the biggest earner of all sports. Forbes says the Swiss "has the most impressive endorsement portfolio in sports, with 10 sponsors that collectively pay him more than $40 million annually, including long-term deals with Nike, Rolex, Wilson and Credit Suisse". Moet&Chandon joined his list of sponsors in November. 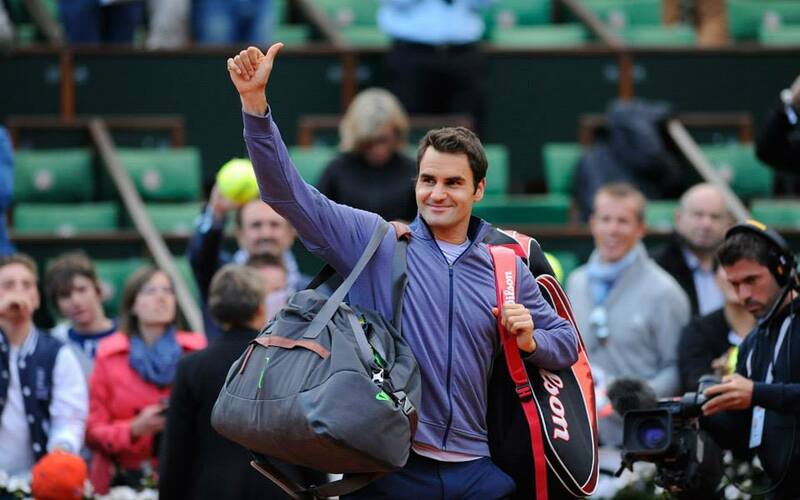 (See “How Roger Federer Makes $71 Million A Year”). Maria Sharapova is the second tennis player to make Forbes Top 100 list, making the 22nd position, before Novak Djokovic and Rafael Nadal. The Russian is the world's highest-paid female athlete for the ninth straight time. In 2012, Masha earn $29 million, including around $23 million only in endorsements. Other tennis players included on the list are Novak Djokovic (28th position, $26.9 million), Rafael Nadal (30th, $26.4 million), Serena Williams (68th, $20.5 million) and Li Na (85th, $18.2 million). Forbes Top 100 features six tennis players, three of which are the only female athletes in all sports making the list.